What to do with all your leftover sweet potatoes?? This was the question I was pondering over. Thankfully the Secret Recipe Club came to the rescue and introduced me to the adorable blog Inside BruCrew Life. When it came time to pick the recipe I wanted to make from the Secret Recipe Club (Inside BruCrew Life) and happened upon a sweet potato recipe. I was all over it! I had tons of sweet potatoes leftover from T-day and needed a delicious non-overly-sweet recipe. My girls (unlike the lovely Jocelyn of BruCrew) love, no adore sweet potatoes! My Thanksgiving sweet potatoes are sweet...more like dessert. Definitely not an everyday item. Jocelyn's crumb cake was perfect, my girls gobbled it up! I brought it to a friends birthday party and it was gone within minutes! This recipe will be a keeper in my household....Thanks Jocelyn! Preheat oven to 350 degrees. Combine all topping ingredients, mix well and set aside. Over low heat melt butter in a small skillet until browned, about 5-7 minutes. Let cool for 2 minutes and pour into a medium bowl. Add brown sugar, mashed sweet potato, vanilla, cinnamon, ginger, and nutmeg, stir until well incorporated. Beat eggs in (separately) making sure to mix well after each addition. Sift flour, baking powder and salt, adding the 1/2 cup oatmeal after the sifted ingredients. Slowly add the dry ingredients (flour mixture) into the wet ingredients, mixing well. In a greased 9 X 13 baking pan, evenly spread 1/2 the batter over the bottom. Smear the marshmallows over the batter, and spread the other 1/2 of the batter over the marshmallows. 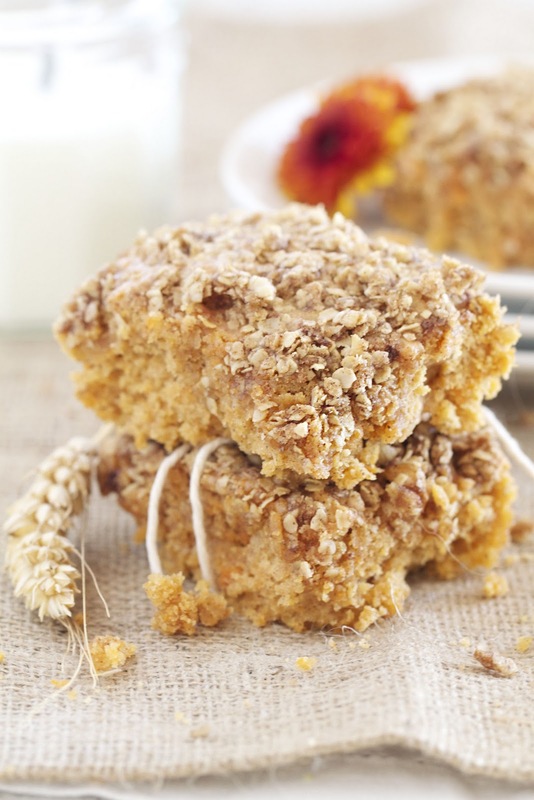 Sprinkle the oatmeal crumble and bake for about 25 minutes. Let cool before serving. You did the recipe proud...and your photo is amazing!!!! So glad that your girls like sweet potatoes so that you could share with them. Unfortunately I had to eat the entire pan myself...not complaining at all though because I love sweet potatoes!!!! This looks wonderful! What a great way to use sweet potatoes. Wow, do I ever need a piece of that! 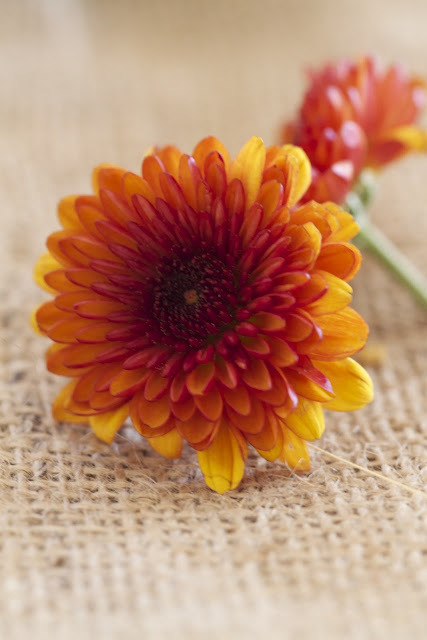 Great choice for a timely recipe, and your photos are gorgeous! I was assigned Inside BruCrew Life last month, and what fun it was to explore! 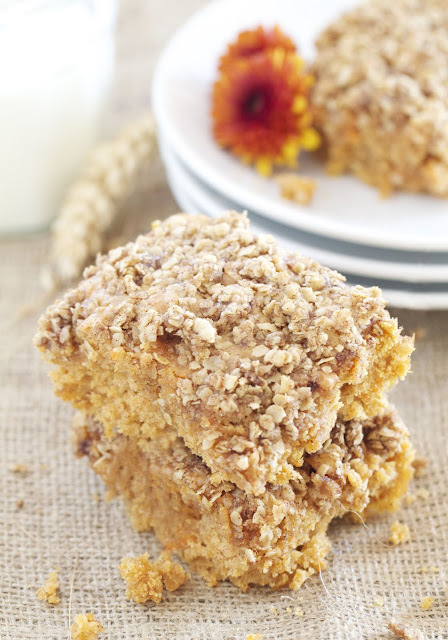 I have some leftover sweet potatoes and this crumb cake might be just the thing for them. This sounds so wonderful and looks really moist! I love sweet potatoes. 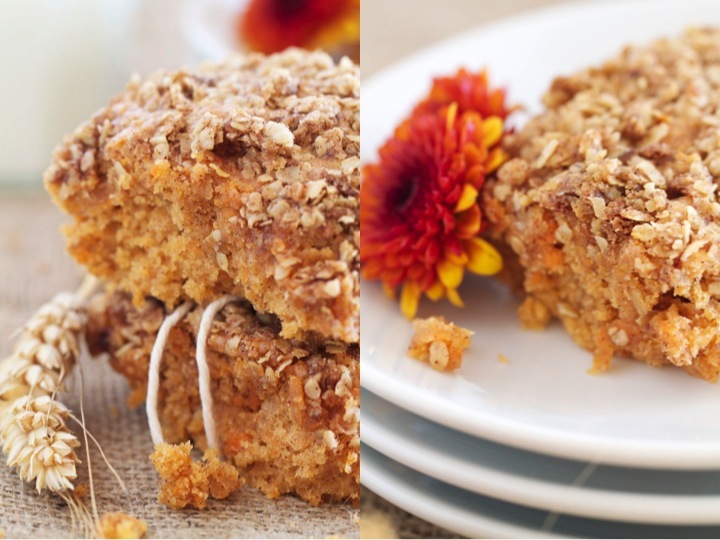 I like the sound of the sweet potato mixed with the sweet flavors of the cake! Absolutely beautiful photos. What a great recipe and I'm so impressed your girls love sweet potatoes. Great post - cant wait to explore your blog a bit more. I was looking for a recipe to use up my leftover sweet potatoes too. This sounds perfect. Thanks for sharing! I just printed it. I don't think I've used sweet potatoes in baking beyond a sweet potato pie and I love the idea of using them in a crumb cake!! Great choice for this month's SRC. I don't usually like marshmallows but this sounds great. I've been on a sweet potato kick lately with a couple of different recipes - this one is definitely a keeper! This could pass as a healthy breakfast, right? This cake looks fabulous! My husband doesn't usually eat sweet potatoes, but maybe he'll eat these? Sweet potato cake is very new to me. I just love the whole idea & those are some really adorable photographs. I said it on facebook but it bears repeating here...SO YUMMY! These look absolutely gorgeous and I love that they help you get through the Thanksgiving leftovers :) I wish I had some! I love sweet potatoes! This looks like a great recipe. Your photography is beautiful! We love sweet potatoes and I make them often. This looks fabulous and I look forward to trying this. I know my twins would love this too! Mmmmm this sounds so interesting and awesome! I have such a love for sweet potatoes! I love this! holy cow! that looks like a great way of using up left over sweet potatoes! great pick!